Antoinette “Toni” Ferrara passed away peacefully at her home on Wednesday, April 10. She was 89 years old and a resident of Baton Rouge. She was the loving wife of Russell J. Ferrara, Sr. for 68 years. Her greatest pleasure in life was taking care of her family and cooking for anyone and everyone she knew! She will also be remembered for her gardening and sewing projects as well as the beautiful wedding cakes she made for her family members. She was preceded in death by her parents, James and Nancy Politz Macaluso, sisters, Theresa “Doris” Cassano, Mary Louise Montagnino, brothers, Russell Macaluso and Pete Macaluso. She was the kind and gentle mother of Janis Ferrara, Nancy Ballard (Ricky), Annette Ferrara, Russell Ferrara, Jr. (Melissa), and Danny Ferrara (Darnelle). Grandmother to Jeremy Ballard (Leslie), Nicholas Ferrara (Ashley), Natalie Ferrara Mullen (Steven), Joshua Ferrara (Gabrielle), Ryan Ballard, Christopher Ferrara (Rebecca), Allison Ballard Meyers (Jeremy), Joelle Ferrara, Claire Ferrara Öhlerking (J.D. ), Julia Ferrara and 7 great grand children. Her family would like to give special thanks to the staff at Audubon Hospice and to her fun and loving caretaker, Rita Raby. Pallbearers will be Jeremy and Ryan Ballard, Nicholas and Christopher Ferrara, Samuel Losavio and Jeremy Meyers. 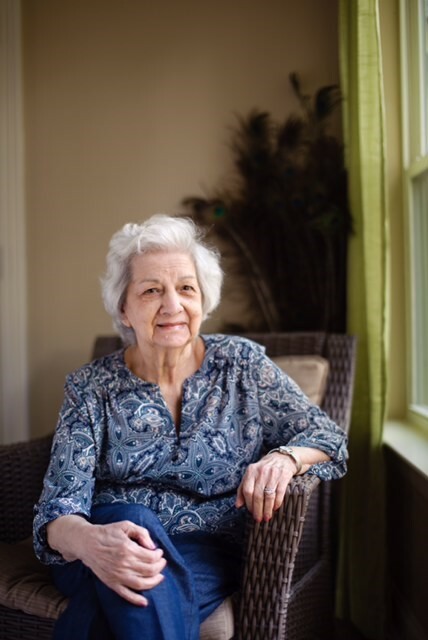 Family and friends are invited to attend visitation and celebration of her life at Resthaven Funeral Home, 11817 Jefferson Highway from 5:00pm -9:00pm on Monday, April 15 and on Tuesday, April 16 at St. Jude Catholic Church, 9150 Highland Road from 9:00am-11:00am. Mass of Christian Burial will be at 11:00am. Interment will follow immediately at Resthaven Funeral Home.